Initial stages of rheumatoid arthritis, with inflammation of the distal radioulnar joint. Push the thumb through the hole of pattern A and mould around the hand. 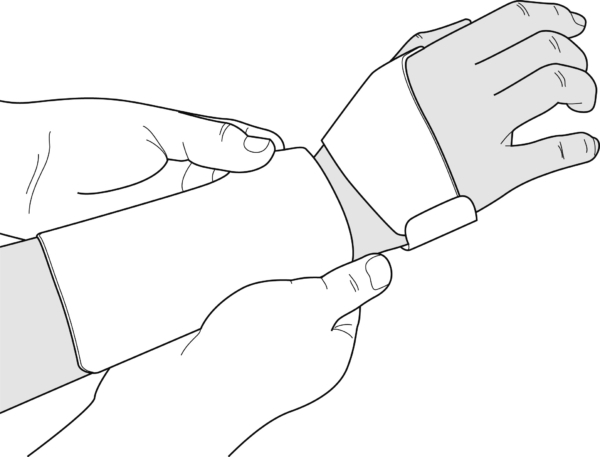 Mould pattern B on the forearm, taking care to fully cover the ulnar side of the wrist. 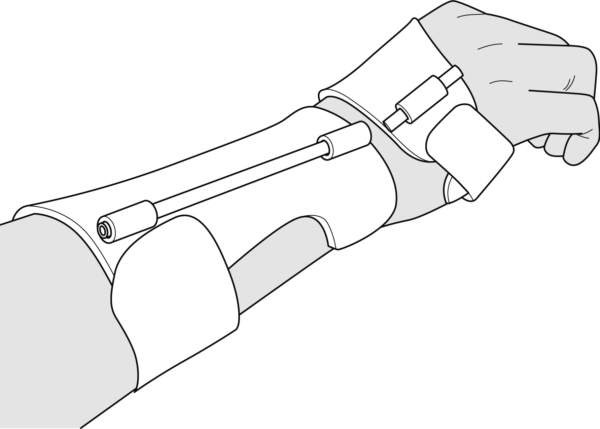 Attach the fixation straps of both sections of the splint. 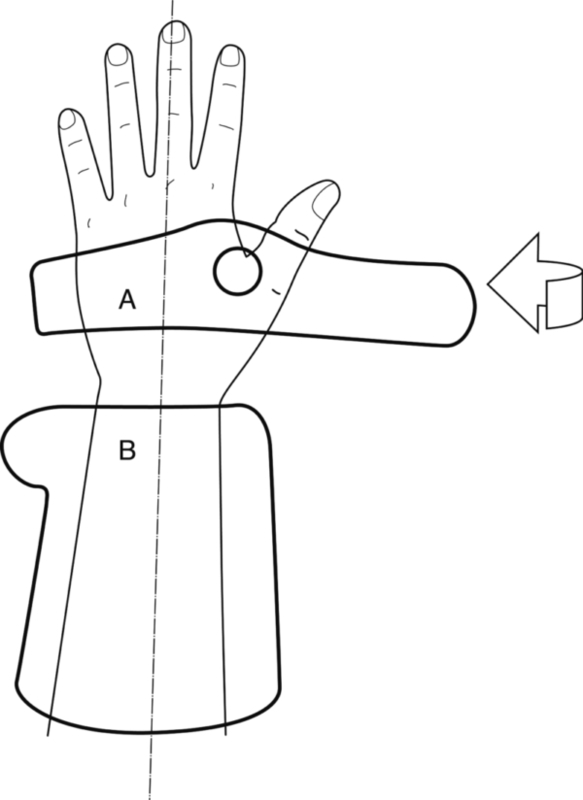 Attach an Orfitube dorsally on the ulnar side of the forearm section (pattern B) as well as on the hand portion (pattern A). 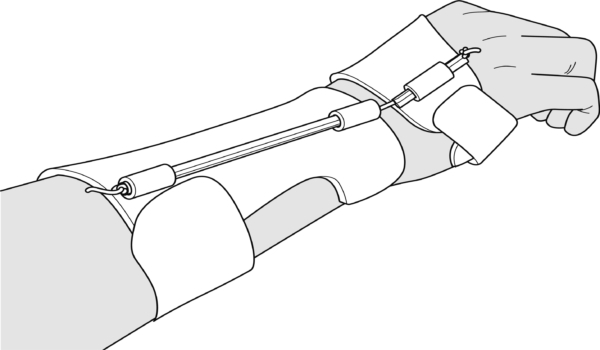 Stick an Orfit Classic 3.2 mm (1/8″) rod on the radial side for use as a hinging connection piece. Tie a thick piece of elastic in the Orfitube. 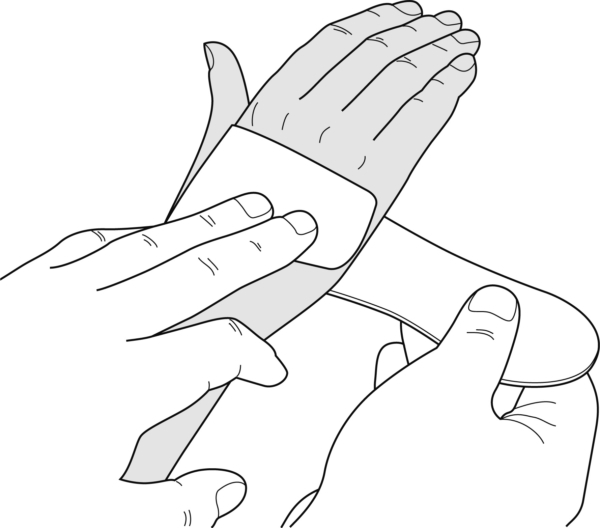 Finishing: Leave room for the ulnar styloid process and apply some soft foam material at the level of the wrist.